Ski fans will feel right at home on Big Mountain thanks to the fact there are more than 3,000 acres of skiable terrain to explore. Whether you're a beginner or want a more challenging slope, you'll be spoilt for choice as there are several different run types to choose from, all featuring deep powder. There are two different resorts to choose from, both of which have their own charm. 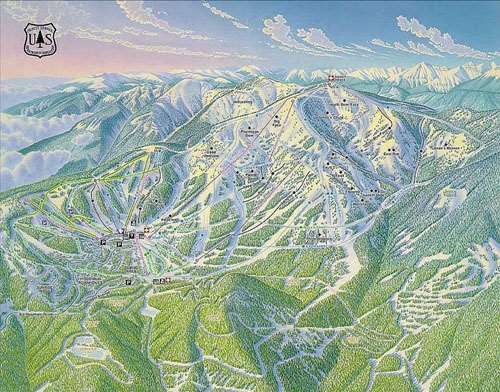 Whitefish is located 12km away from Big Mountain but offers the best apres ski and great views. It also has great views of the Glacier National Park and Flathead National Forest. Closer to the mountain is Mountain Village. This resort offers plenty to do if you want a break from the slopes, as well as a mixture of terrain suited to all abilities. There is also a fair bit going on in the town, offering you plenty to do when you're done with your skis for the day. The season runs from November to April, giving you plenty of time to hit the powder. Snow tends to be quite deep so you won't have to rely on snow machines to cover the slopes, ensuring the majority of runs are at the ready for the entire season. There is a huge range of runs to choose from at either resort, so you'll have no trouble finding the right ones for your skiing ability. At Whitefish alone, there are 105 named trails, as well as tree skiing for those who are a dab hand with the sticks. If you're new to the slopes, there are several wide runs that are excellent for helping you to find your feet. Experienced skiers, you'll find several more challenging runs at either resort, which feature deep powder to ensure you can show off all your moves. Those who fancy a break from the slopes will also have a great choice of things to do. 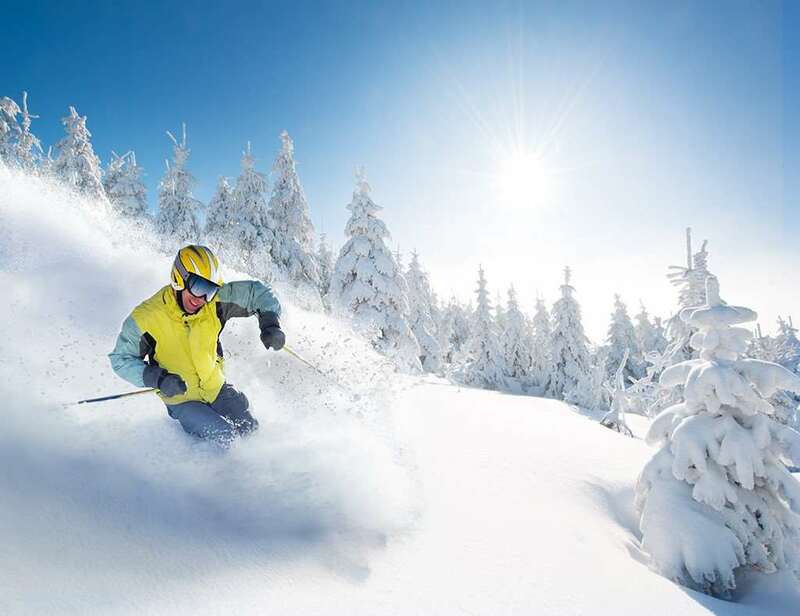 Both resorts offer a range of activities that can make skiing more fun or allow you to relax. At Whitefish, you can shop and eat at the resort or hop onto the free Snow Bus to head into the town. This will allow you to take advantage of a range of bars and eateries, all with relaxed and friendly atmospheres. From a warm breakfast at the Hibernation House to great views at the Hellroaring Saloon and Eatery, there's no shortage of places to explore. Mountain Village is close to areas of interest, including Yellowstone National Park, if you want to go a bit further afield, but there is also a lot to do without needing to drive anywhere. You can relax in one of the spas, swap your skis for a sled, shop til you drop or eat a slap up meal. Glacier Park International Airport is the closest airport to Big Mountain, allowing you to be at either of the resorts in under an hour.